A plan for how to develop more effective ways of accounting for a domain, agreed between delegator and delegatee. The development plan may be created for a person in a role, or for a team (e.g. a department, circle or open domain). Development may happen in the form of refining the description of the driver and the domain, making amendments to strategy, or new or updated agreements and specific actions to be taken, either within the domain of the delegator, or the domain of the delegatee. 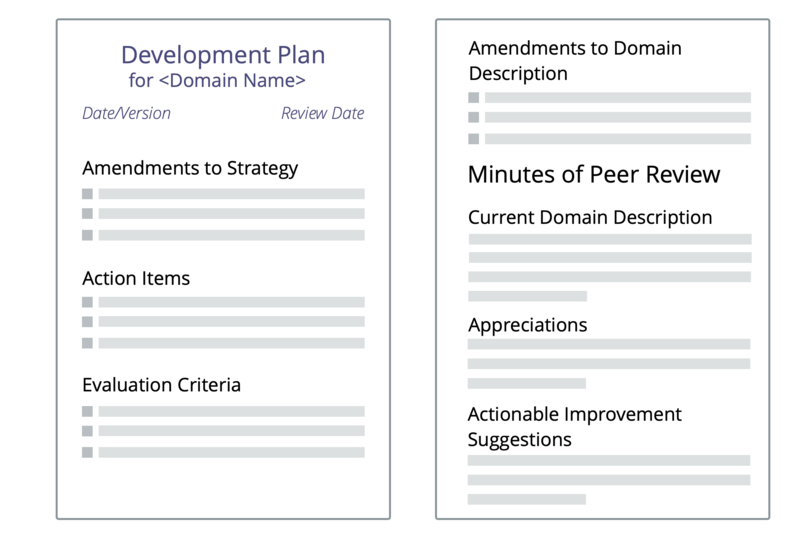 A development plan (and any accompanying recommendations for changes to the descriptions of the domain and the driver) requires consent from both the delegatee and the delegator.